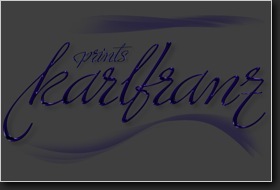 karlfranz.com is proud to announce that its online store prints karlfranz is now open for business. In this store you will find high-quality limited edition prints in a variety of styles including acrylics, pen & ink, and processed photography. These prints are unique, beautiful and suitable for framing and display in your home, office or den. Quantities of each print are strictly controlled—once the edition runs out, no further prints of that image will be made. Head on over to our store at http://www.printskarlfranz.com or click on the “Go to Online Store” link in the menu to your right to check out our selection.